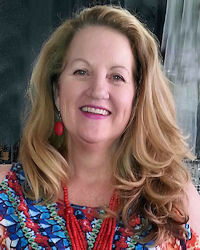 I believe that with the right support, positive change can happen and I will work alongside you to facilitate this change .I help my clients explore their issues and concerns in a safe, supportive environment so they can further understand themselves better, feel better about themselves and develop more fulfilling relationships with themselves and others . I lead with compassion and understanding . I see each client as unique and tailor my approach to meet his/her needs. I provide therapeutic support to increase self-awareness and insight, promote change and growth and most importantly, a greater sense of self-acceptance and compassion for yourself. I am passionate about my work as a Therapist and deeply committed to provide a safe, confidential and supportive environment for individuals, couples, and families to explore and transform the patterns that arise In their lives and relationships and to help expand into a new sense of self, self in relationships, and meaning and purpose in life. I will develop a relationship based on mutual trust and safety with you, to allow the holistic healing of the mind, body, and spirit to unfold. This is the therapeutic space I create for our work together. Emotional pain as a result of trauma often goes hand in hand with self-medicating, compulsive behaviours and addictions. I understand how the brain responds to trauma and I believe that with the right support, positive change can happen, and I will work alongside you to facilitate this change. I continue to support to my practice with ongoing professional development and regular supervision and also have significant training in addiction, trauma, attachment and neuroscience. Dr Janina Fisher, Babette Rothschild, Dr Bessel van der Kolk and Miriam Taylor. I have twenty five years of experience in supporting families affected by addiction and trauma through individual and group support. Sharon Wegscheider-Cruse, Dr Joseph Cruse, John Lee, and Shirley Smith and love the work of Tian Dayton. I have a good understanding of supporting people in the 12-step model of recovery and harm minimisation. Please phone or email to book your appointment with me. "...and the day comes when the risk...to remain tight inside the bud is more painful than the risk it takes to blossom" -Anais Nin. I provide therapeutic support to help clients in gaining greater insight, promote change and growth and increasing self-compassion and self-esteem to improve their quality of life.